Pam Chilton is a residential building designer and owner of Zimba Design. 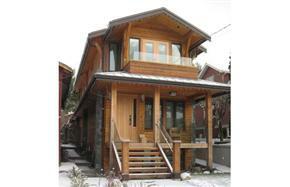 Recently, a home design of hers won a B.C. 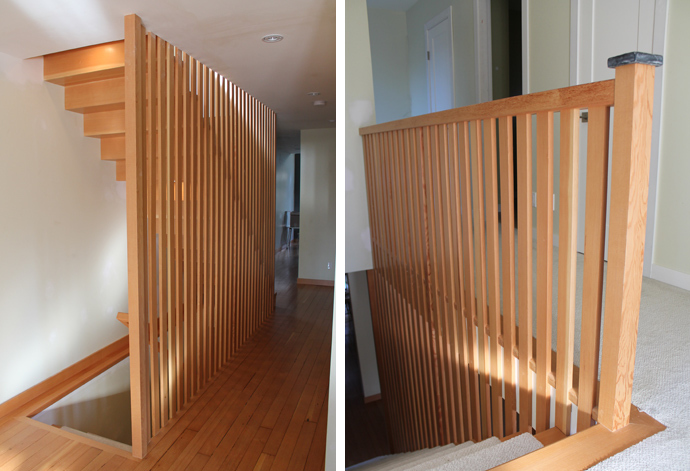 Wood Design Award for innovative use of wood in the construction of a home in North Vancouver. But I don’t think that was the most interesting part of the this handsome little house. The “Urban Longhouse” is only 15 feet wide — and those are the exterior dimensions! The use of wood plus up-to-the-minute construction techniques allowed them to make the home stylish and comfortable, and it is great to see how they managed to match the ambience of the neighbourhood — embracing both modern and traditional designs. The trick was building the home on a lot that was just 25 feet wide. Inside the use of natural materials was continued — as were the clean lines. Read Pam Chilton’s article in BC Living to get the whole story. Once again, the strict parameters of the design lead to creativity and innovation. Well done, and congratulations not just to Zimba Design, but to the lucky home owners who can enjoy this house! Posted in Housing, Small House and tagged Neighbourhoods, Small House, Small Style, Vancouver. Bookmark the permalink. Hello and congratulations on starting your own small build. We’re just going through the process for our small (but not lanehome) build just north of you. I snapped some photos of the exterior of this house because I found it so interesting. Thanks so much for sharing the interior photos and pointing me in the direction of the other good details!